We, at Photon Energy Systems, offer turnkey solutions for solar energy systems ranging from PV modules, thermal solutions to solar power plant solutions in India . With over two decades of expertise in delivering best-in-class solar energy solutions, our EPC & Solutions Division is among India’s largest & most experienced EPC provider. Let’s be a part of the green revolution and save our planet! Let’s take forward the go green initiative and adopt solar power plants. Since the rooftop is the area that receives the maximum solar energy and most of the time it goes waste, so rooftop solar power plant is the best solution to harness the solar energy. Solar power plant solutions in India can be installed with battery and without battery. Off-grid power system provides back-up during hours of darkness while on-grid power system runs the load requirements during daytime. 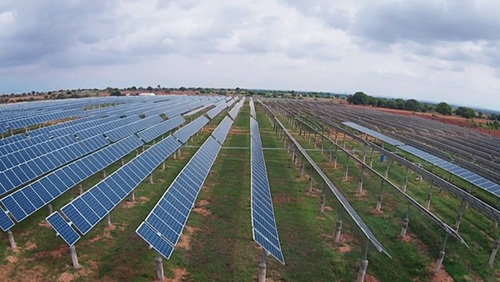 To maximize the benefit of the residential and commercial solar energy, advanced, integrated inverter/controllers can be used with the solar power plant.